hazardous conditions on the roads, the meteorologist said. restrictions or mandatory snow chains in multiple locations. 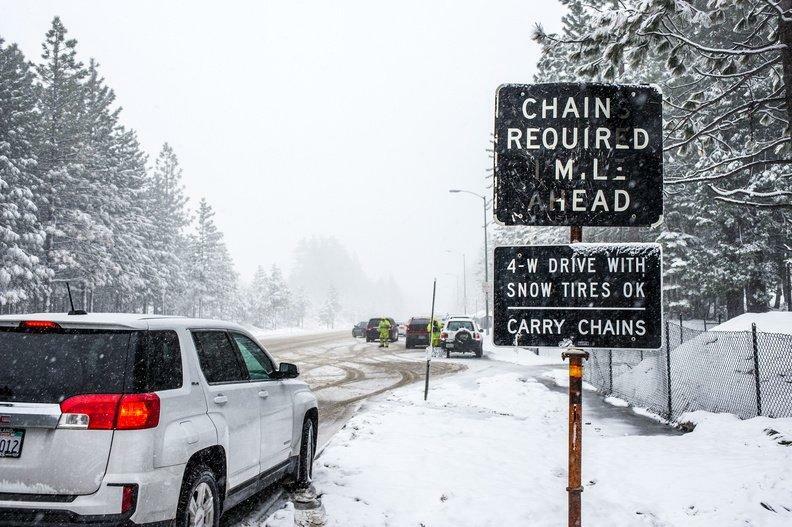 chain installers available during chain control periods, according to Caltrans. in Hemet, according to the NWS. flows, however, did not cause any serious damage to residential properties. system will exit east out of the region by Wednesday morning, forecasters said. rainfall and snow today (Monday) in the Inland Empire, forecasters said. effect through 4 a.m. Wednesday. feet by Tuesday night, NWS meteorologist Miguel Miller said. rainfall expected to hold off until tonight. showers and thunderstorms, according to the National Weather Service.